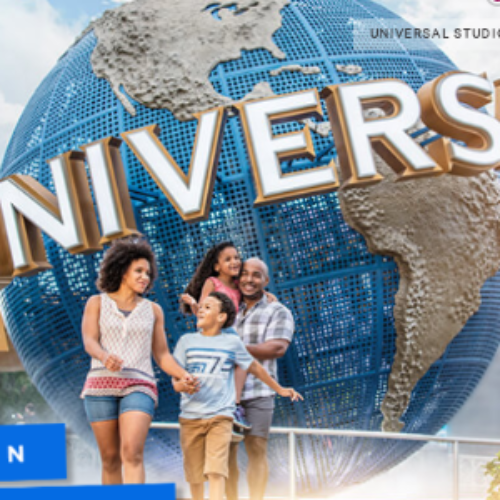 You can enter the Escape Your Everyday Sweepstakes from HGTV for your chance to win a fabulous four-day trip for four (4) to Universal Orlando Resort. The trip includes round trip airfare to Orlando, accommodations at Loews Sapphire Falls Resort, admission to both Universal Studios and Island’s Of Adventure, and tickets to the Blue Man Group. The prize is valued at over $3,500. Entry ends April 26, 2019. By show of hands, who could use a vacation? I can’t technically see you but I’m going to bet that was a unanimous upward thrust of paws towards the sky! Even if you aren’t cranking wrenches, trudging through corporate trenches, raising little minions, or housekeeping like it’s an affliction, we all need to getaway from our daily routines from time to time. This sweepstakes for a vacation to Orlando that includes admission to Universal Studios, tickets to a Blue Man Group show, and luxurious accommodations at Sapphire Falls Resort might just be the sugar that helps the medicine go down. Many areas of the country have experienced one of the most brutal winters on record, and even when it’s not snowing, flooding, icing or freezing, it’s more than likely overcast. The persistent gray weather here in the Carolina’s, where I live, has motivated me to propose a new weather metric. Everyone knows about wind, rain, temperature and humidity, but I now present to you the latest in meteorological observations: “gloom”. That’s my term for when it’s not quite raining, snowing, or freezing, but it’s been consistently gray and cloudy for hours, days and even weeks at a time. My daughter and I were having a chat and she asked “is it supposed to rain again today?” to which I replied “well, no, there’s a 0% chance of rain, but there’s a 100% chance of the gloom!”. Just like many of you, I’m ready to escape the “gloom” and relax in the glorious warmth of sunny Florida! I used to live in Florida, so I’ve actually been to virtually every theme park at some point- Disney, Epcot, Universal, Busch Gardens, Sea World, Adventure Island, and I’m sure I’m forgetting a few. I have to say, far and away the one I like best is Universal Studios. They all have their merits, be it the wildlife and wilder roller coasters at Busch Gardens, the mesmerizing aquatic flora and fauna of Sea World, or the classically surreal “Small World” at Disney, but there’s something that Universal has that is lacking in the rest. That special quality is diversity. Most of the others stick to a strict theme, while at Universal you can join Quint and Brody in a search for Jaws, scare yourself senseless at Tower of Terror, run from Velociraptors at Jurassic Park, and even join Homer, Marge, Bart and Lisa in a trip through toxic Springfield. There’s also rides or exhibits for Men in Black, the Mummy, E.T., Despicable Me and so many more! But you don’t have to be a theme park junkie to appreciate this giveaway. Any method you can use to escape the cabin fever and monotonous doldrums of the daily grind, escape the frigid temps, and buck the stress of the never ending rat race to experience sun, fun, warmth and relaxation is a good one! I want to wish every one of my devoted fans and subscribers the best of luck to win this sweepstakes from HGTV. Let us know in the comments section below when the last time you took a vacation was and, if you have any experience with them, what your favorite theme park is and why. I’ve never been to Florida but when friends come home from vacation there, they say it’s a beautiful state. Warm weather certainly sounds great after the winter we had here in upstate NY. My significant other and I have been together 14 years and haven’t taken a vacation together in several years because severe health problems with both of us have kept us from taking one. We both need some romantic and fun time together and the chance to make another memory together. A relaxing vacation in Florida at Universal Studios sounds wonderful! I love the parks the last time i visit was in the 25 aniversary .i love to go kniw in my 60 years.